As a Home Buyer Inspector, I look out for the best interest of the Buyer. I, Paul Smith, personally perform all of the inspections for my company and spend an average of six to seven hours inspecting the home. I do not hire or sub-contract other inspectors to perform inspections. Additionally, I do not share my client contact data with any solicitors – as some “Free Home Warranty” programs do. 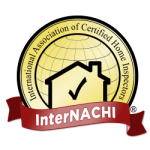 Paul Smith / Curry Home Inspection will provide a comprehensive inspection of your entire home in accordance with the Oregon Standards of Practice for Certified Home Inspectors. Please review the Oregon Standards Of Practice for exact details on the scope of an Oregon Certified Home Inspection. Call Paul Smith at Curry Home Inspection at 541-373-7250 for all of your home inspection needs. Curry Home Inspection, LLC is located in Gold Beach, Oregon – primarily serving Brookings, Harbor, Pistol River, Gold Beach, Agness, Nesika Beach, Langlois, and Bandon – all along the beautiful Wild Rivers Coast. Please Note: I am certified and licensed to perform Home Inspections anywhere within the Great State of Oregon. I am a Home Buyer Inspector, I look out for the best interest of the Buyer.